With over 20 years serving Maple Grove, Minnesota and the surrounding communities, you can be sure that we’ve handled new construction and remodeling jobs of all sizes and shapes. We can do it all for you no matter what size the project or what you have in mind. From repairing your roof to pouring concrete and everything in between, we’ve got you covered from top to bottom. We can even build you a custom home from the ground up! Painting Whether it’s part of the remodeling job or a standalone project, you can count on Katy Contractors for all of your Maple Grove painting needs. 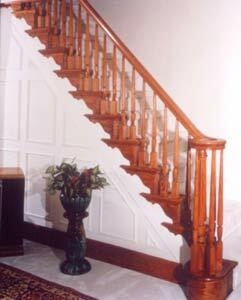 We can handle interior, exterior, detail work, trim painting, and more. We’ll even paint your dog house to match if you’re so inclined! Remodeling We are one of Maple Grove’s premier remodeling contractors with decades of experience making home improvement dreams come true. No job is too big or too small for our team of professional craftsmen. Whether you want to retile the bath enclosure or go for a full blown home makeover, we can help you with every possible detail. Roofing From leaking roofs to complete roof replacements, hundreds of Maple Grove homeowners have trusted us with their roofing projects. Siding Protect your home with quality siding. Whether you want brick, Hardi Plank, or any other type of siding, we can assist you in selecting and installing the perfect type of siding for your Maple Grove home. Concrete From foundations to decorative concrete work, you’ll find that we have the right mix of concrete experience for any job! Patio Covers Let us help keep you shaded so that you can enjoy your back patio and keep your home cool during the summer months with a well-designed patio cover. Fireplaces The fireplace is often called the heart of the home. We can build you a stunning fireplace that your family will gather around for years to come. We can even build you an outdoor fireplace, pizza oven, or barbeque for an outdoor living experience that will warm your heart. Garage Conversions Whether you want to convert your garage into a new living space or want to expand your existing garage to accommodate more cars, turn to us for expert craftsmanship and design. All work is done to pass all of Maple Grove code requirements. Room Additions Is your house getting too small? Don’t move, add a room. 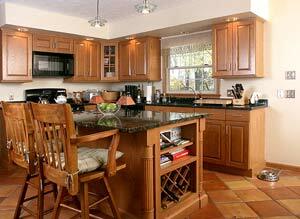 Our remodeling services include room additions and second stories. You’ll love your new room addition as well as the savings realized versus buying a larger home. Windows Do you want to replace your old windows with new energy-efficient windows? Did they boys playing catch miss a fly ball? Do you want to let the sunshine in with a garden or bay window? No matter why you want to replace your windows, we’re here to help! Structural Repairs We’re here in a pinch when you need us the most. We can restore your home’s strength and integrity no matter how the damage was done. If an insurance claim is involved, rest easy, we will work with your adjuster to get the work done promptly using quality materials. 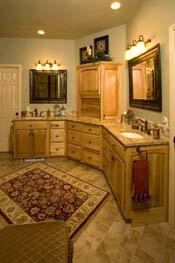 Custom Home Builder If you’re dreaming of a home of your own design, let Katy Contractors build it for you. We’ll help from conception to completion. With over 20 years in the custom home and remodeling business, you can relax knowing your custom home in Maple Grove will be built by true professionals! If your home improvement project involves painting, siding, roofing, remodeling, concrete work, structural repairs, room additions, patio covers, concrete work, window installation, or if you simply want a quality custom home builder, you’ve come to the right place!